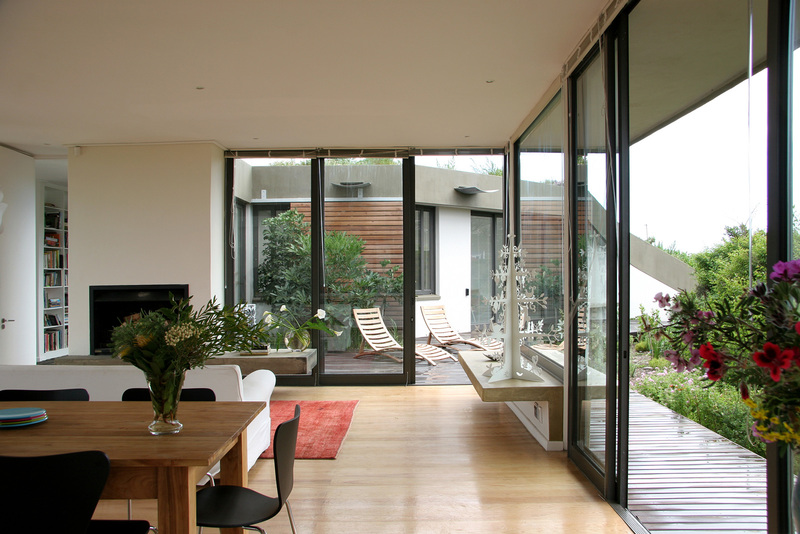 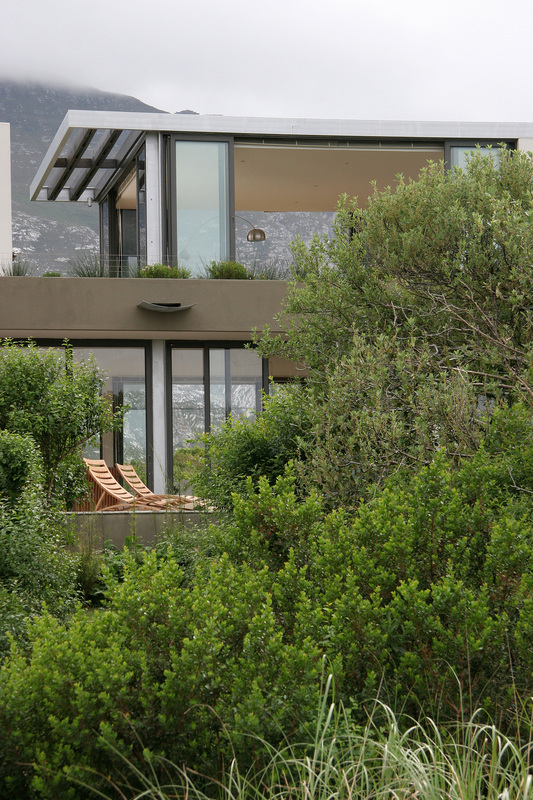 This house takes a design cue from the Drakensberg house. 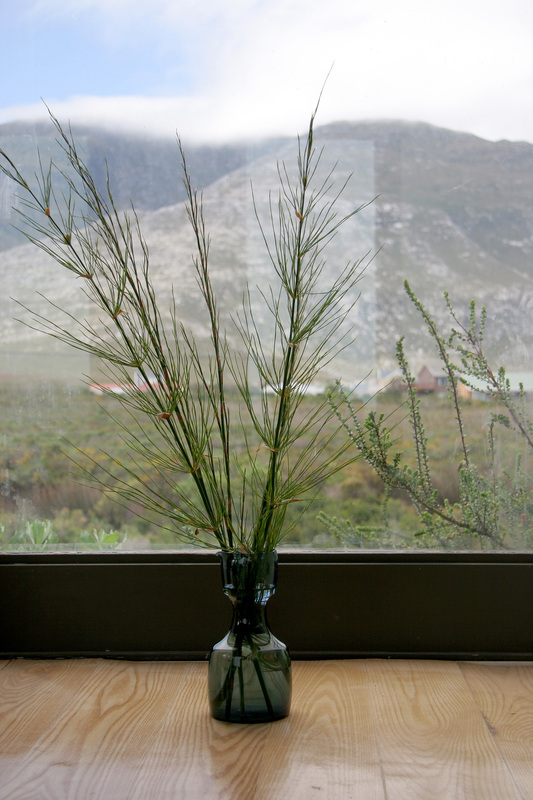 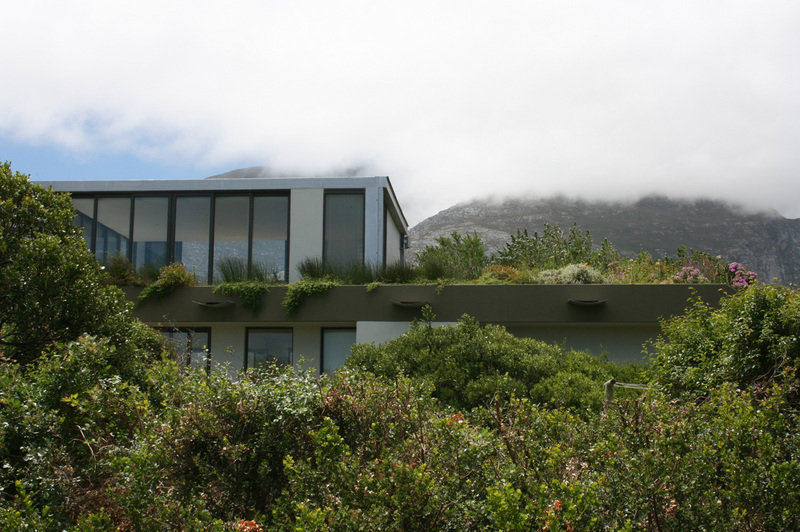 It too has a planted roof, this time, planted with fynbos and flowering bulbs. 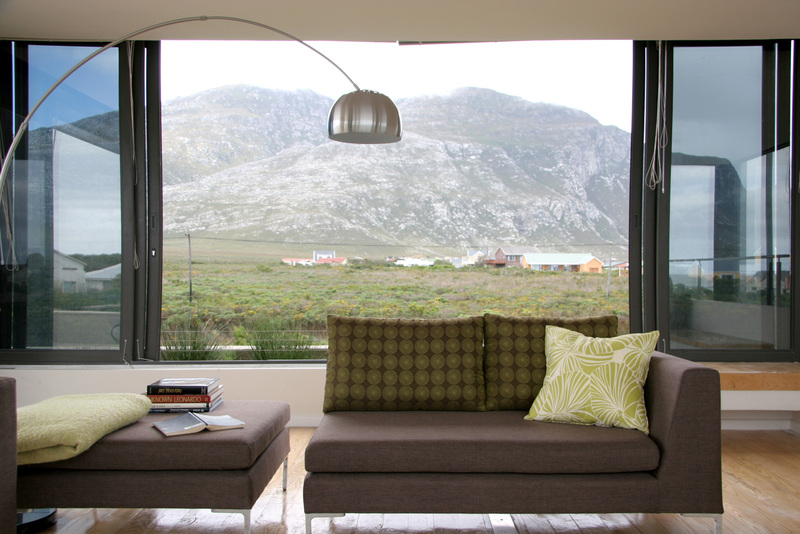 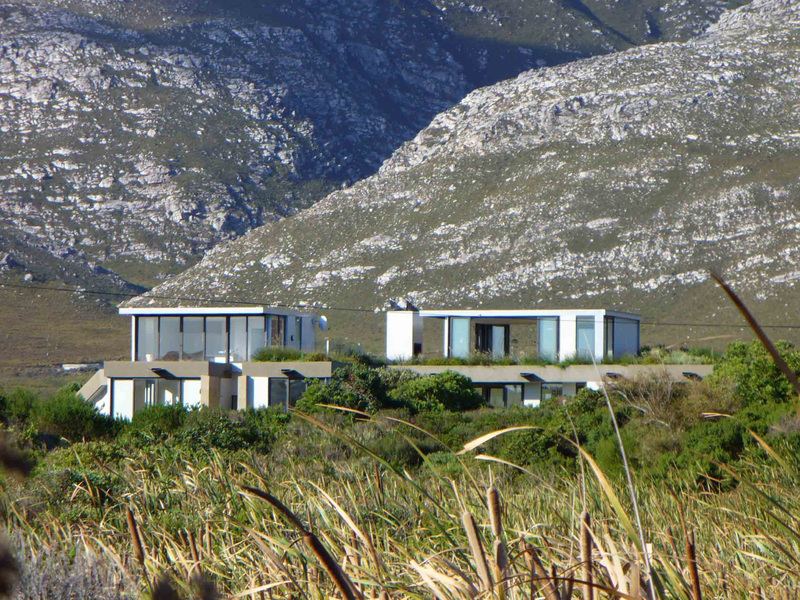 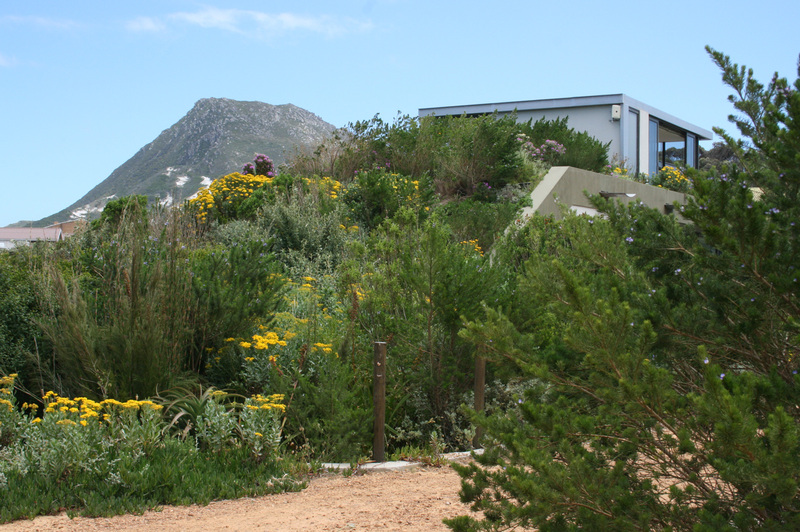 The area of Betty’s Bay falls within the extraordinarily rich and beautiful Kogelberg Coastal Biosphere, and the house is situated between the glaring white beach and great grey mountains, between violent winter north-western and summer south-east winds. 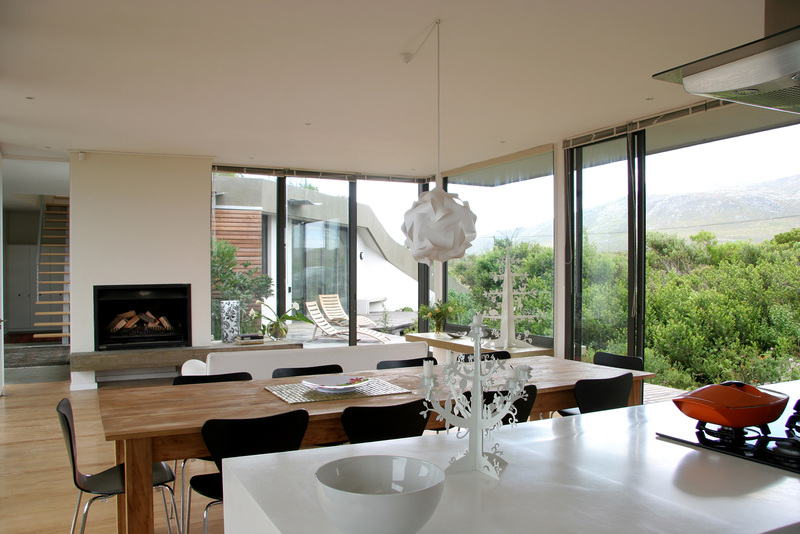 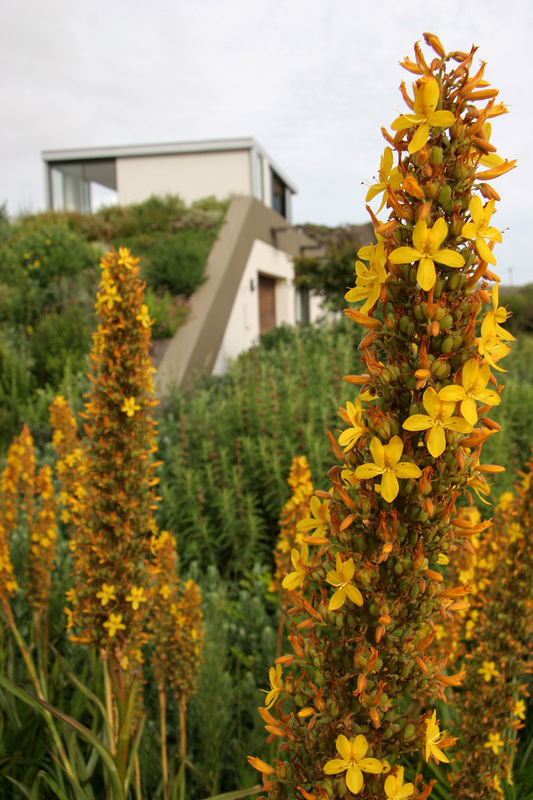 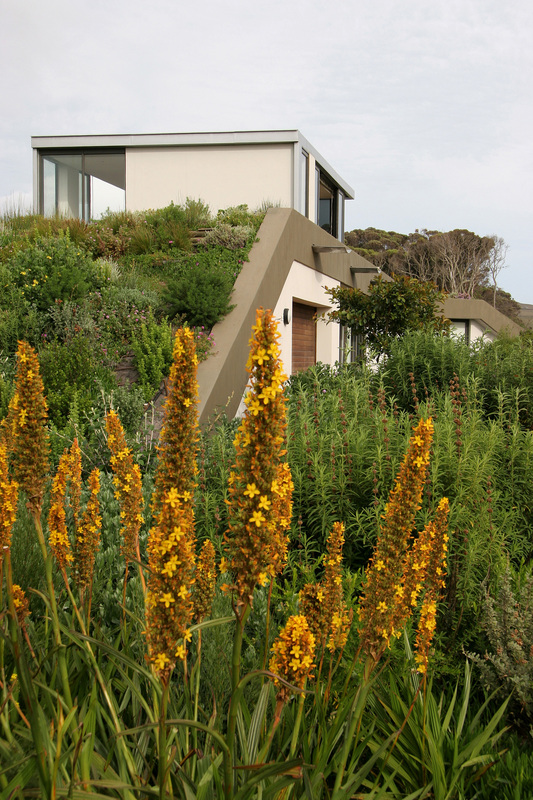 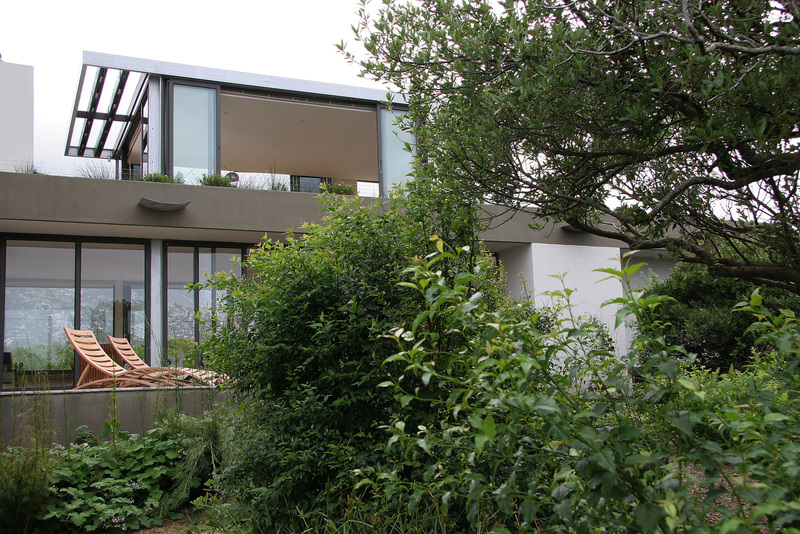 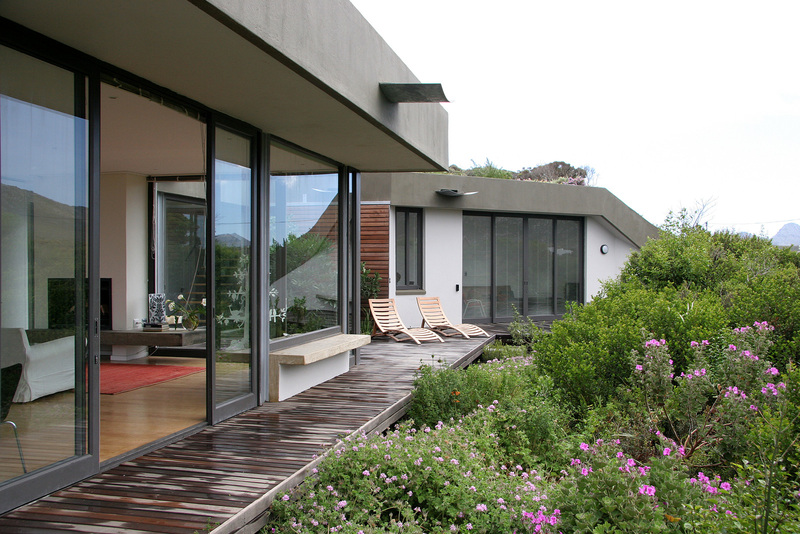 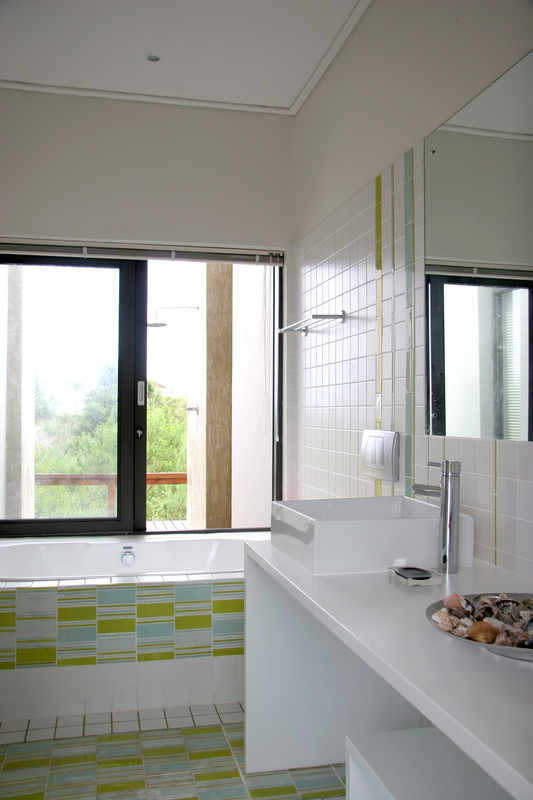 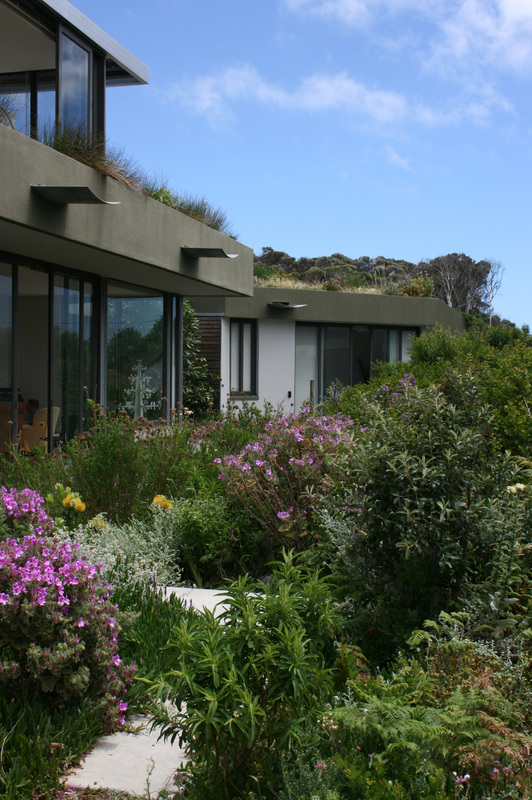 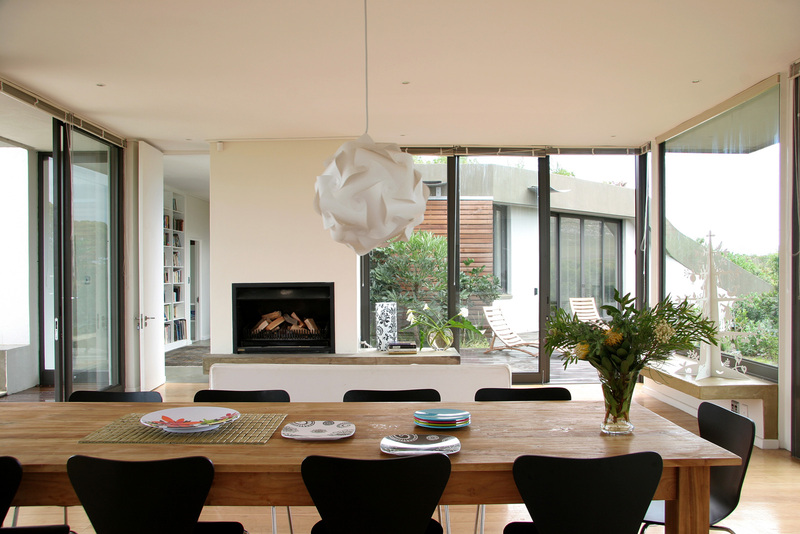 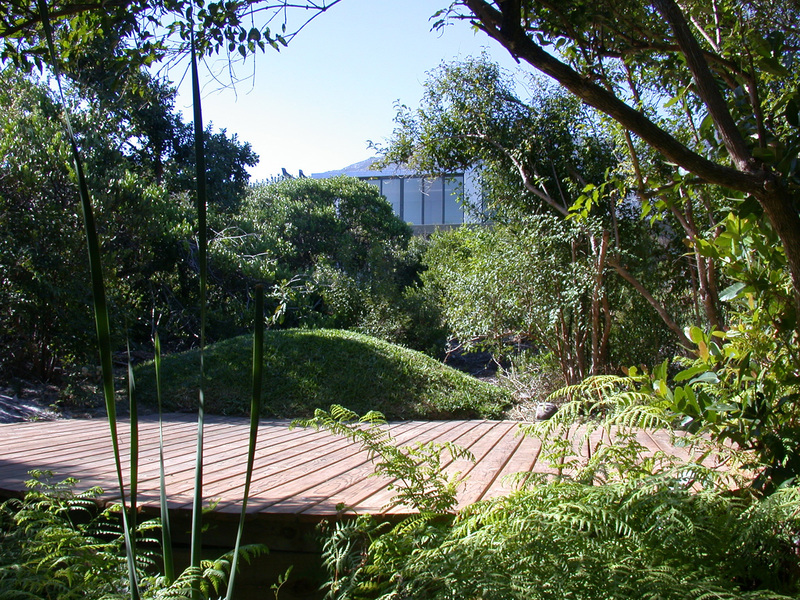 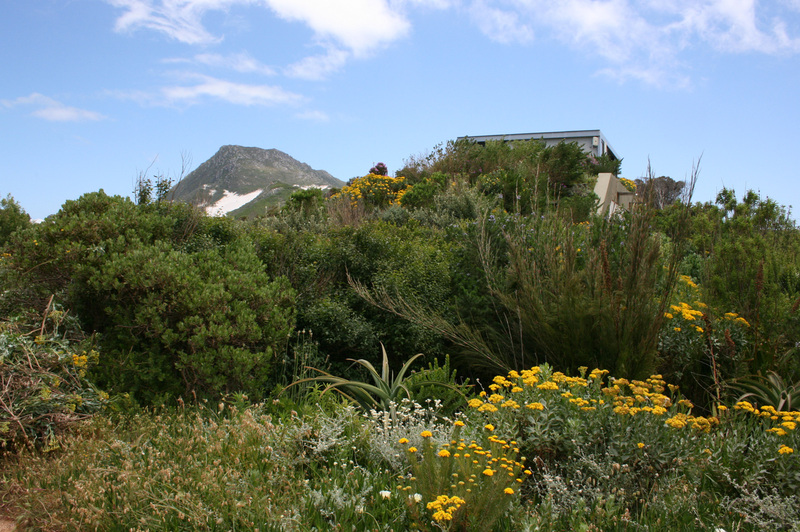 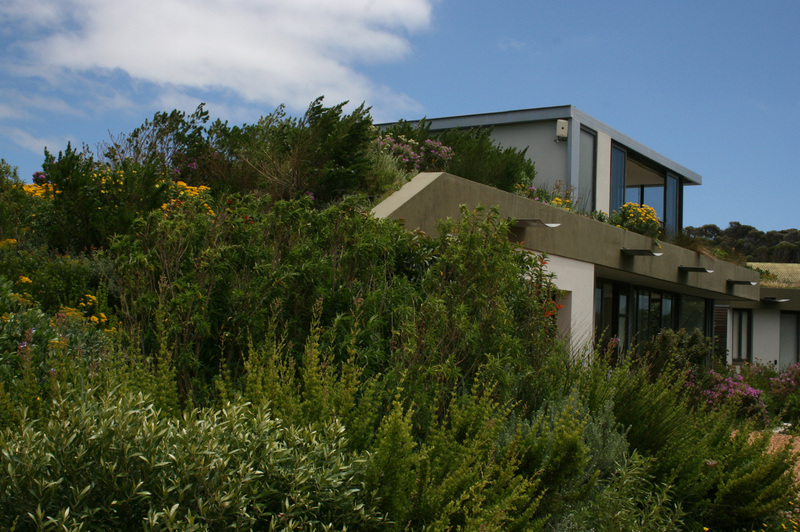 The house sits in a thickly overgrown site of the indigenous fynbos, and the ground floor experience of the house is contained within the green miniature of the fynbos. 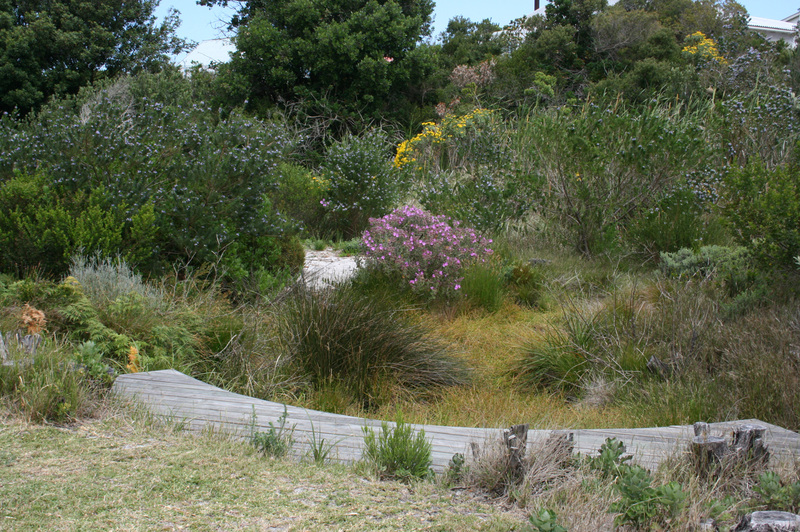 Any gardening that occurs concerns only oval cut outs into the vegetation. 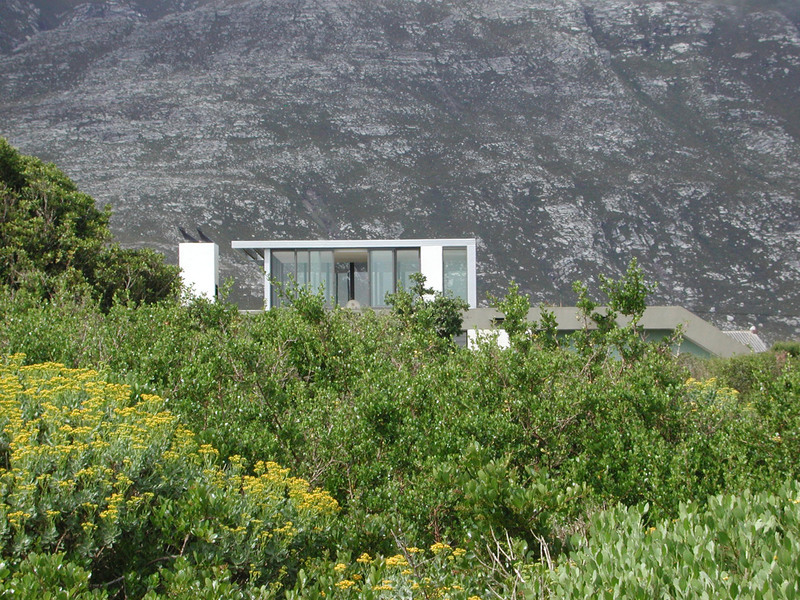 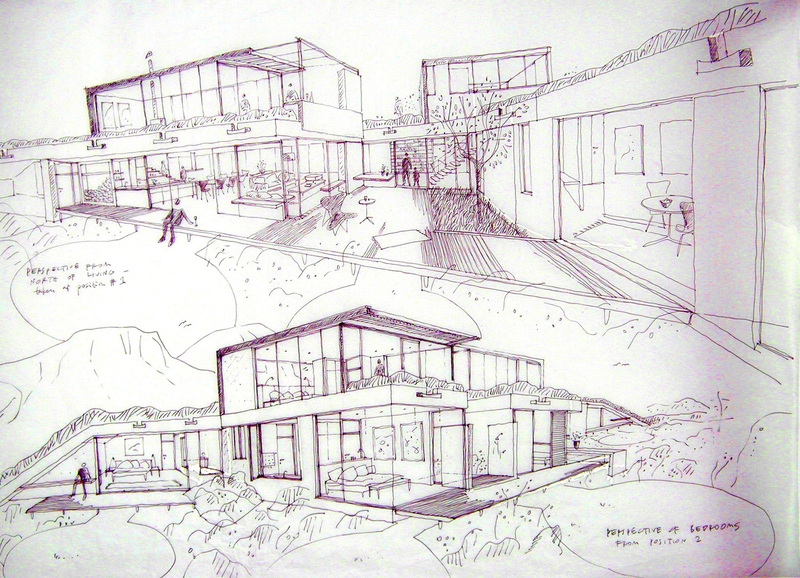 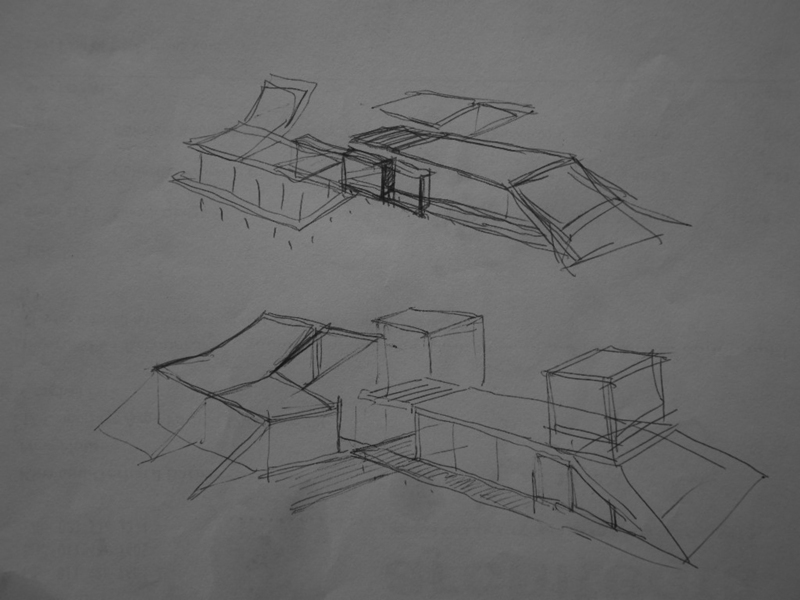 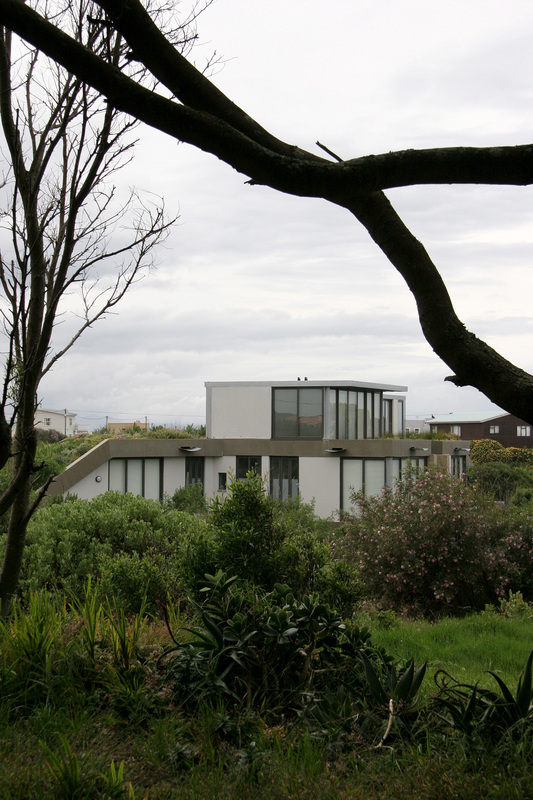 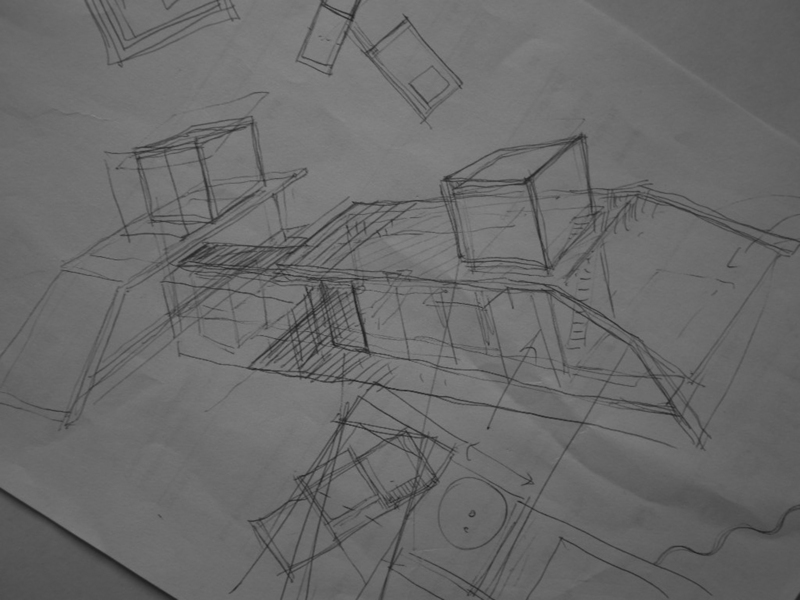 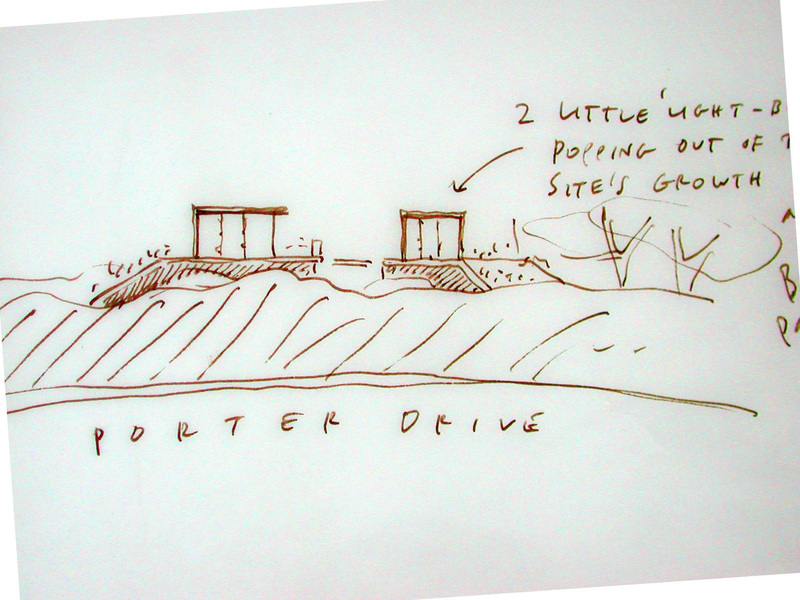 There is a view of the ocean at high levels, so two glass cubes emerge from the roof plan, housing a large living space, and the main bedroom suite.